When you love spending time outside, it’s a natural progression to bring some of the creature comforts of home out into the backyard to create an outdoor living space that can be enjoyed almost year round. 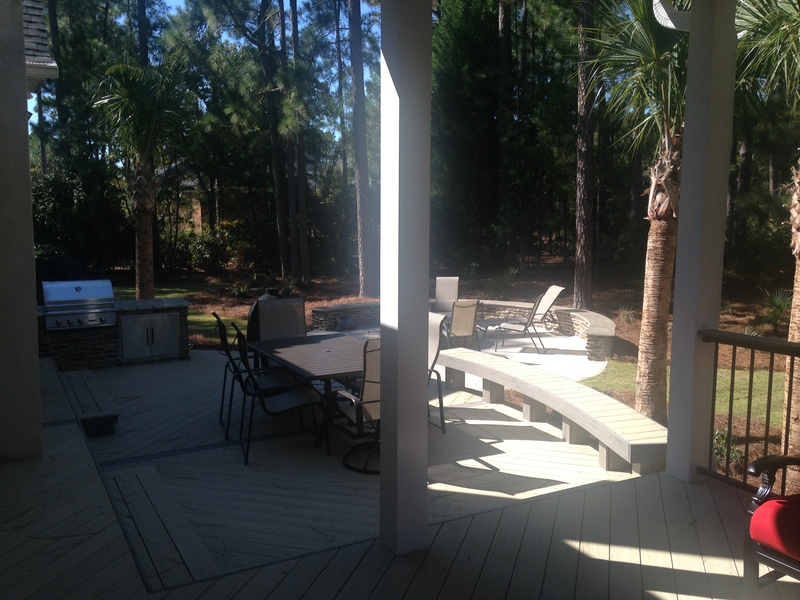 In an outdoor living environment custom designed and built by Archadeck of Central South Carolina, you can fully enjoy the beauty of the environment while being ultra-comfortable. We understand your desire to spend more time enjoying your home inside and out and offer multiple ways to improve that experience. 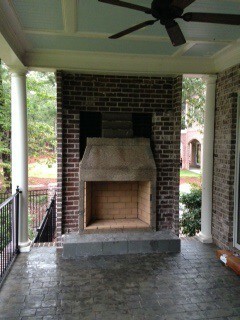 Completed outdoor fireplace addition in Elgin, SC. You can optimize your porch or patio for fall and winter get-togethers by enhancing your existing space. While homeowners in some parts of the country may think that evenings spent in the backyard or outdoor living spaces are coming to an end this time of year, we here in the central South Carolina area feel otherwise. We are blessed with a climate that allows the extended use of our outdoor living spaces throughout the fall and, with a good source of heat, well into the winter months, thus making almost year-round use of our outdoor living environments fully possible. 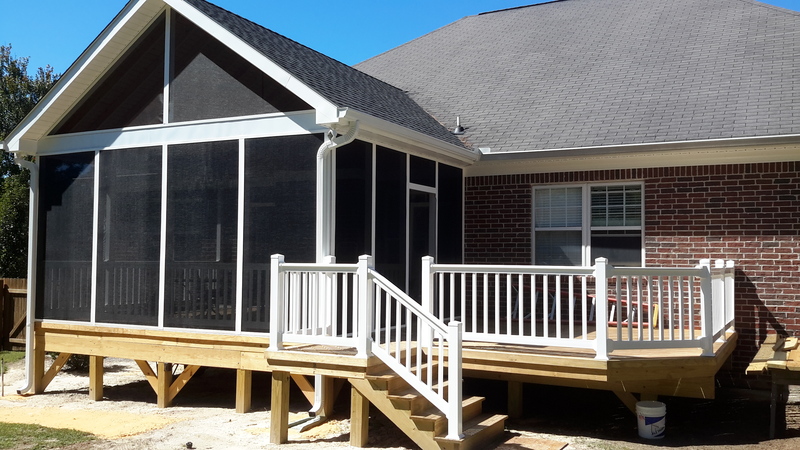 Getting more use out of their covered porch throughout the year is exactly what these Elgin, SC, homeowners listed as their primary objective when they contacted us. They already had a beautiful covered porch area in which many celebrations, cookouts, parties and family dinners had occurred throughout the spring and summer months as well as countless evenings spent just relaxing and unwinding after a hard day of work. Although this space is obviously well-loved during the spring and summer, they also want to enjoy it during the fall and winter too. 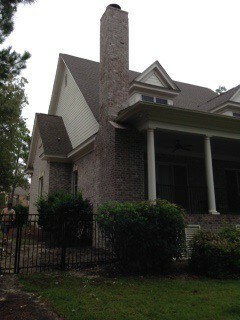 Addition of outdoor fireplace onto existing Elgin, SC, covered porch. The best way to accomplish their goal was with the addition of an outdoor heat source, such as a fire pit or a fireplace. What’s better than an outdoor fireplace or fire pit to gather around and share conversation, food, drinks and fun? Not only will a fire feature add some warmth to the chilly air, it will also serve as a social hub and focal point for your outdoor living space. After an onsite inspection of their existing structure and careful consideration of their wants and needs along with the architectural aesthetics of the covered porch, we suggested the addition of an wood-burning outdoor fireplace with an Isokern pumice stone insert. “In progress” outdoor fireplace addition in Elgin, SC. Along with this enhancement to their outdoor living space, they added soft, comfy furniture, fluffy throw blankets and hardy outdoor rugs, all of which are sure to make it their favorite warm and cozy spot during the fall and winter months. Wonderful memories will be made on cool, crisp evenings or lazy afternoons, tucked up in blankets on the couch in front of the warm soft glow of a crackling fire while conversations flow and mugs of hot cocoa are savored. Are you ready to make your outdoor living space cozy for the upcoming cooler weather seasons? Now is a great time to move ahead with your outdoor living structure endeavors! Fall and winter lead times are shorter, the growing season of your landscape is interrupted less and materials are likely to be less expensive now as opposed to waiting until next spring when the traditional outdoor living season arrives. 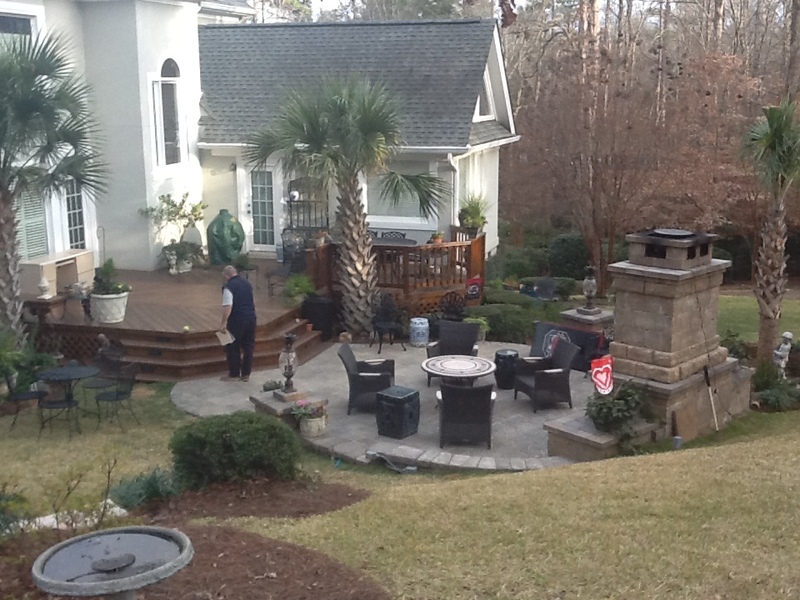 Archadeck of Central South Carolina can plan, design and build your structure in time to take advantage of festivities of winter. Our professional and talented staff are experts at helping homeowners, like you, get the most out of each season with an outdoor structure custom-built just for you. Contact us today to learn more by calling (803) 603 – 2160 or email us at centralsc@archadeck.net. This entry was posted in Custom Outdoor Fire Pits, Custom Outdoor Living Designer & Builder, Outdoor fireplace and fire pits, Outdoor Living and tagged Archadeck of Central SC, Archadeck of Central South Carolina, Benefits of adding an outdoor fireplace or firepit to your Columbia SC backyard, Central SC combination outdoor living spaces, Central SC custom fire pit designs, Central SC outdoor fire feature hardscape designs, Central SC outdoor firepit builder, Central SC outdoor fireplace builder, Central SC outdoor fireplace designs, Central SC outdoor living combination builder, Central SC outdoor living combinations, Columbia SC custom backyard fire features, Columbia SC outdoor fire features as part of an outdoor living combination space, Columbia SC outdoor fireplaces and fire pits, Columbia SC outdoor living combination designs, Elgin SC outdoor fireplace builder, Elgin SC outdoor fireplaces, Isokern fireplace insert, Making your Columbia SC dream backyard a reality on November 6, 2015 by archadeckofcentralsc. 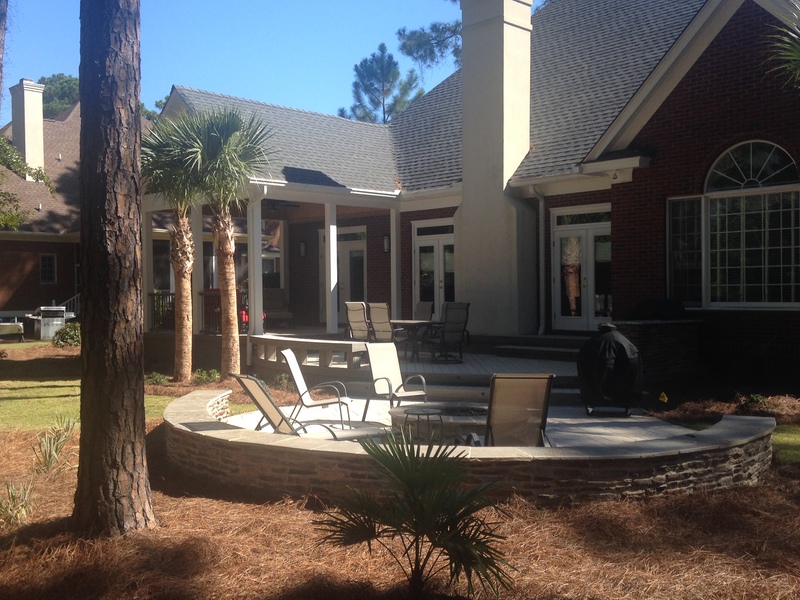 The versatility of this NE Columbia all-inclusive outdoor living environment is amazing! Archadeck of Central SC can create an all-inclusive outdoor living environment in your own backyard — the ultimate “staycation” destination! 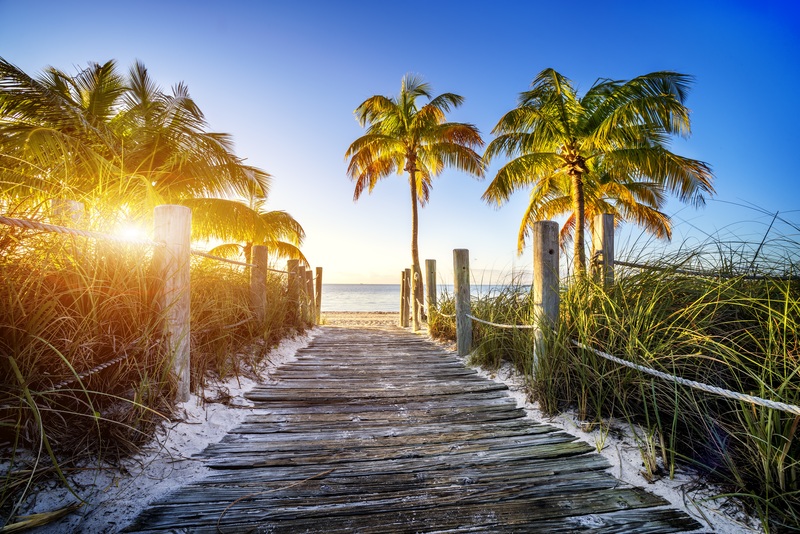 When planning the family vacation, who doesn’t love an all-inclusive resort or vacation package? It’s convenient, has so many choices and everything is taken care of in the package price. This means all the basics are covered, there’s something for everyone to enjoy and most important you’re not spending your relaxation and fun time working out the details or cleaning up…it’s no fuss and no muss. Now imagine that same feeling in your own backyard with a custom all-inclusive, low-maintenance outdoor living space for you to enjoy almost year-round! That’s exactly what Archadeck of Central South Carolina did for these homeowners in the Wildwoode neighborhood located in NE Columbia, SC. In some areas of life, it’s hard to make everyone happy, but with the right design and materials it was easy to create an outdoor living environment that has everything these homeowners need and want in a low-maintenance space that is so versatile and option rich that it pleases everyone, effortlessly. They wanted a combination of protected and open spaces, in a low-maintenance, multi-level structure, connected to a hardscape area with room for an outdoor kitchen, dining area, conversation areas and an integrated fire feature. With a clear list of features and an understanding of what they were envisioning, we went to work laying out and designing their custom outdoor living environment that fit the way they want to enjoy their outdoor lifestyle. Once the plans were completed, we met with the homeowners for their approval of the design and they were ecstatic! Seeing their mental image of their dream space translated into design plans made the concept of their own private, all-inclusive backyard resort very real. 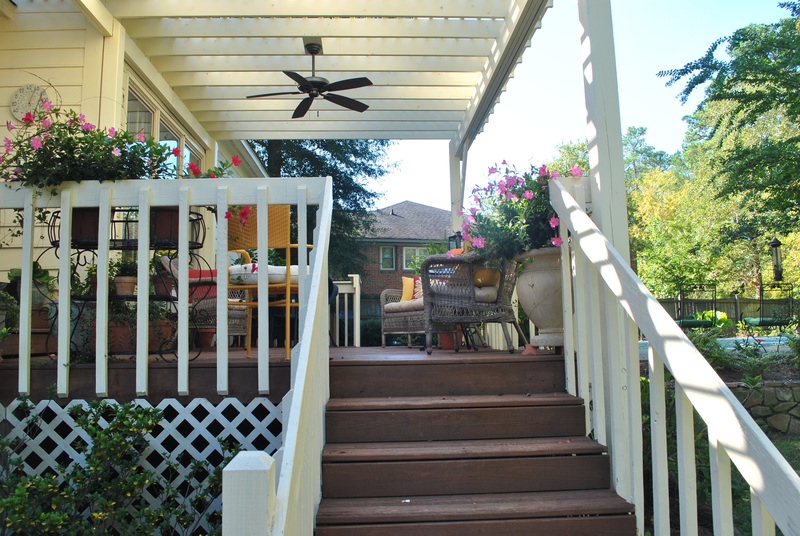 The Covered Porch – Also referred to as an “open porch,” it has a roof, which provides protection from the sun, unpredictable summer rainstorms and other elements and still offers the benefit of circulating fresh air. In this area, it can be used for dining, family game night, a cool, quiet area for relaxing or just about anything. The Deck – It not only adds value to the home, but it enhances the way our customers live outdoors, as it can be used as a wide open space for a large group to mingle and socialize or broken up into zones with cozy furnishings to create conversation areas…the options are limited only by the imagination. They can take advantage of all the benefits that the fresh air and sunshine provide, and spend quality time with their friends and family entertaining in style with little fuss. 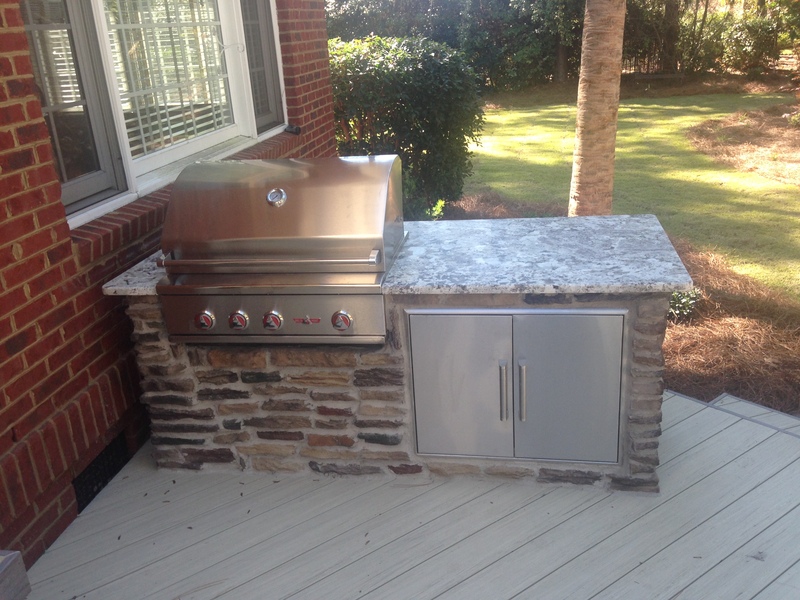 The Outdoor Kitchen – We all know the kitchen is the true “hub” of the home. It’s unclear if it’s the wonderful smells that waft from this area, the easy access to all of the food or the need to be involved in the activity, no matter how much space or comfortable seating you have in the den, everyone seems to gather in the kitchen. The outdoor kitchen has the same draw and it allows the host and head chef to still be involved in the fun of the outdoor events, while preparing the food and drinks. The Patio – Much like the deck, a patio is attractive, weather resistant, and extremely functional as it significantly expands a family’s living and entertaining space with extreme versatility in design. The physical structure of this patio is exceptionally durable, low-maintenance and easily lends itself to a multitude of uses with its stamped concrete design. A rounded hardscape seating wall helps define the space and serves as a plant shelf or additional seating around the integrated fire pit with gas insert. The Fire Pit – Gather chairs all around it, no matter what the season, and it’s instant social hour with s’mores and hot chocolate or beers and brats. More often than not, fire pits are built into the hardscape area to provide almost year-round enjoyment of the outdoor space, as with this design. 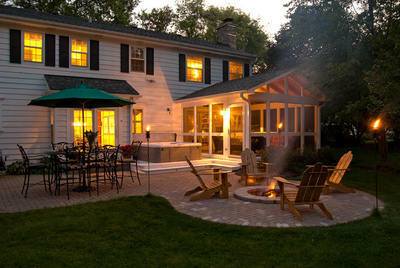 The addition of a fire pit makes a strong focal point and generates an abundance of ambiance, light and warmth as well. Clearly each component can hold its own in the world of outdoor living structures. Now, put them all together and this all-inclusive outdoor living combination space cohesively functions as one space with overwhelming versatility of style and function as well as a multitude of benefits. Add the fact that it’s constructed entirely of low-maintenance materials for many years of immeasurable enjoyment while providing a uniquely stunning addition to their property…and I bet we have blown your mind! Developing low-maintenance outdoor living areas extends the enjoyment of your space and unlocks the full potential of your home. 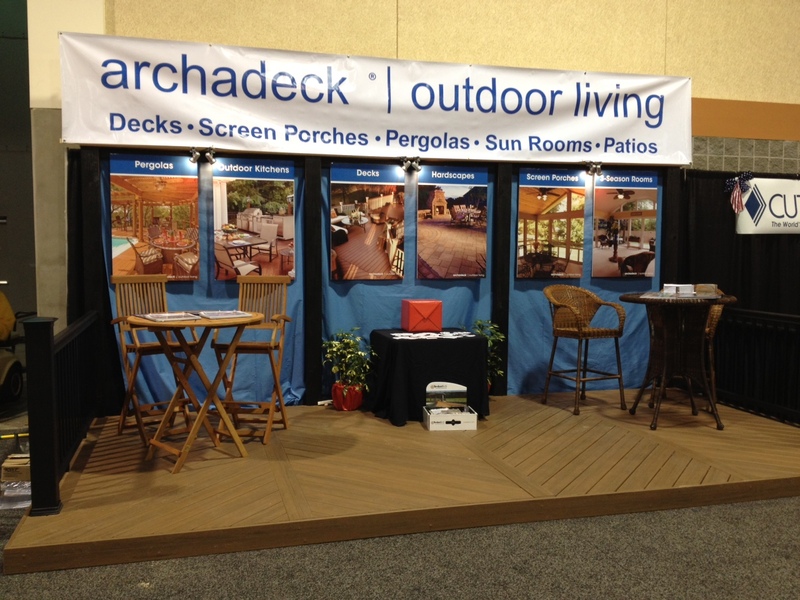 As homeowners increasingly seek to expand their living spaces and bring the comfort of the indoors to their backyards, Archadeck of Central South Carolina will continue to help them fulfill their outdoor living dreams. If you are ready to create your own all-inclusive outdoor living environment contact us by calling (803) 603 – 2160 or via email at centralsc@archadeck.net. This entry was posted in Custom Outdoor Living Designer & Builder, Decks, Outdoor fireplace and fire pits, Outdoor Kitchens, Outdoor living combination structures, Outdoor living space design and building, Patio, Porches and tagged Archadeck of Central SC, Archadeck of Central South Carolina, AZEK composite decking, Central SC combination outdoor living spaces, Central SC deck and porch outdoor living combinations, Columbia SC deck and porch builder, Columbia SC outdoor fireplaces and fire pits, Columbia SC outdoor kitchens, Creating the perfect Columbia backyard, Making your Columbia SC dream backyard a reality, NE Columbia outdoor living combination space, NE Columbia outdoor living combo space designer and builder, NE Columbia SC AZEK deck and porch builder on October 25, 2015 by archadeckofcentralsc. This cozy outdoor living space features a custom fire pit- perfect for making s’mores. One of the best ways to enjoy a backyard in and around central South Carolina year round is by building an outdoor fire pit. There’s nothing like the crackling of a fire to set an inviting or romantic mood. Not to mention, an outdoor fire pit makes the perfect centerpiece for entertaining. Archadeck of Central South Carolina is this area’s leading outdoor living space contractor and for many of our clients, a custom designed and built fire pit fits the bill for this outdoor living space function. When designing outdoor fire pits, one of the biggest considerations is materials. 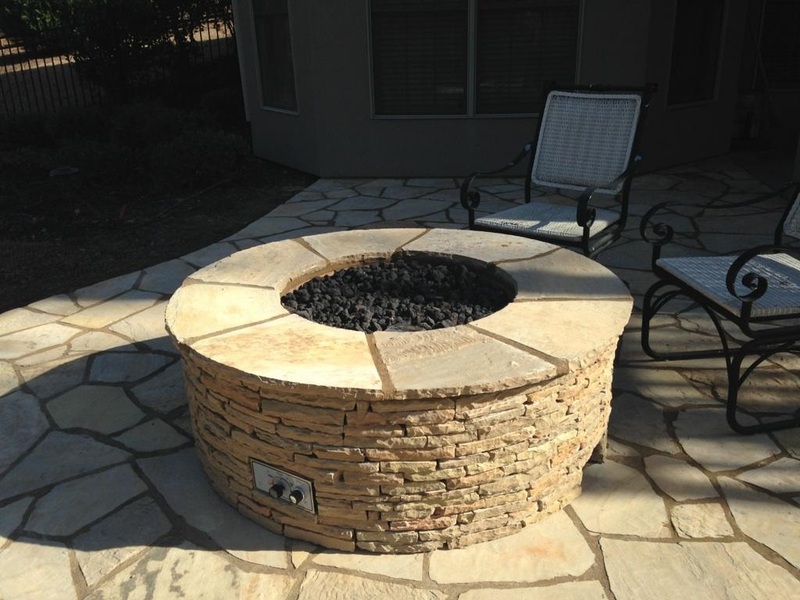 A few materials that could be used to create a fire pit include brick, stone or concrete. Each of these materials is waterproof and heat-resistant, so the one chosen will largely depend on the look you are aiming for. More than one material could also be used to build an outdoor fire pit. For example, concrete might be used to pour a patio and then a fire pit constructed on top of it in stone or brick. Your selection of burning mediums is a matter of personal choice and budget allowances. Options include gas burning, wood burning or fire glass burning, and each choice has several pros and cons, as we have listed below. Ultimately it all comes down to what works best for you. 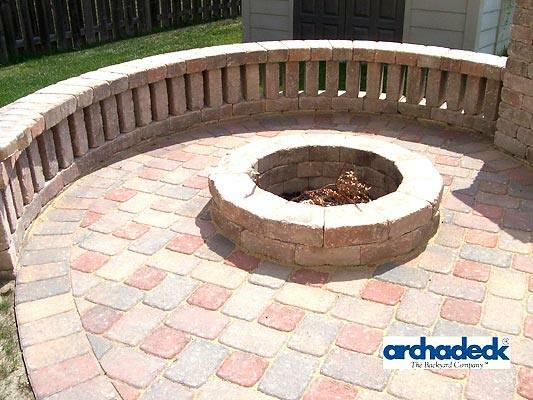 Contact Archadeck of Central South Carolina today to learn more about the placement, size and construction of a fire pit and much more at (803) 603-2160 or via email at centralsc@archadeck.net. This entry was posted in Custom Outdoor Fire Pits, Custom Outdoor Living Designer & Builder, Entertaining, Fireplace, Outdoor Living, Starting a project and tagged Archadeck of Central SC, Archadeck of Central South Carolina, Central SC outdoor living combination builder, Columbia SC outdoor fireplaces and fire pits, Creating the perfect Columbia backyard, Florence SC outdoor fire pits and fireplaces, Making your Columbia SC dream backyard a reality, Outdoor fire feature designs by Archadeck of Central SC, Outdoor fire features in your Central SC backyard on September 4, 2015 by archadeckofcentralsc. We are less than a month away from the first day of fall, and with it comes so many wonderful things. As fall approaches we say goodbye to warm summer evenings, sunbathing, water sports and all the endless summer fun. Now is the time to welcome the glory that is autumn, and the addition of a fire feature — such as a fireplace or fire pit — to your outdoor living space is the perfect way to do it. Not only does a fire feature offer several benefits, it also helps to bring a nice conclusion to almost any day of every season! 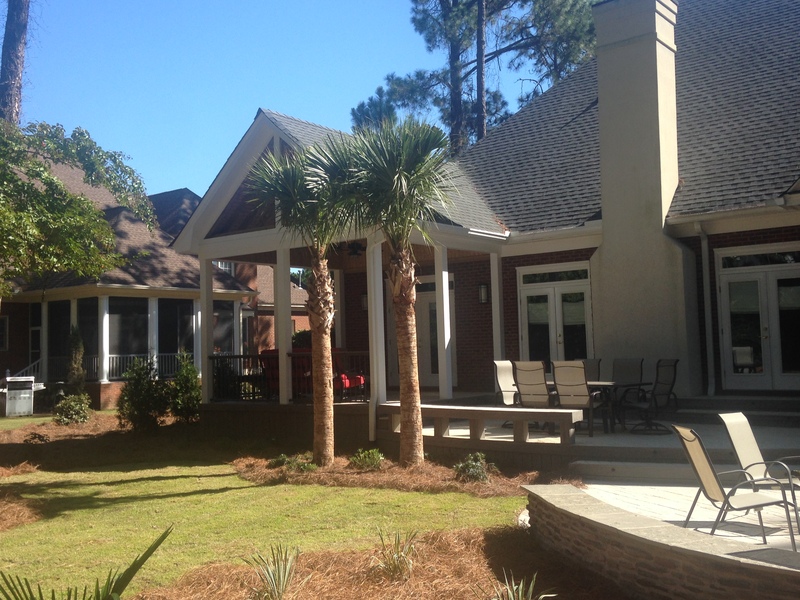 Being a leading designer and builder of custom outdoor living spaces in this area, Archadeck of Central SC has helped hundreds of homeowners add outdoor living spaces, including custom fire features, increasing the curb appeal of their homes. 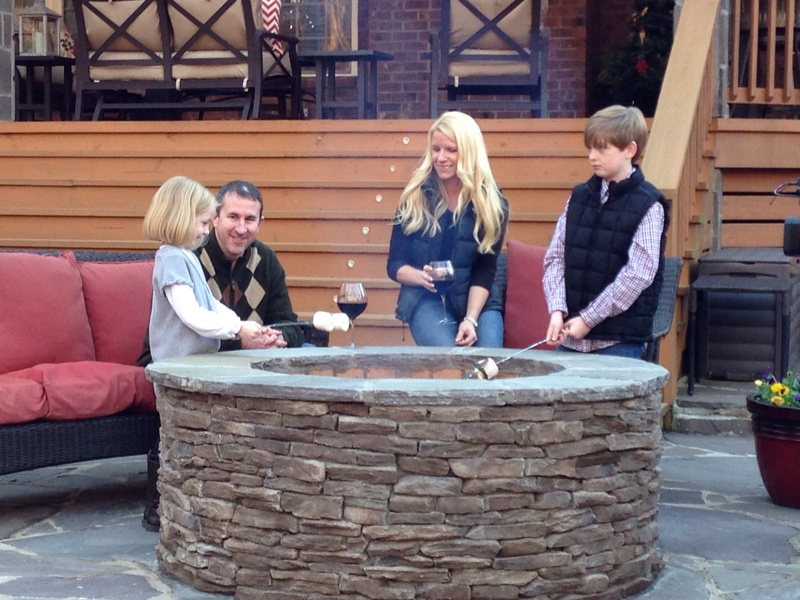 One of the best things about a fireplace or fire pit is that it can be used year round. 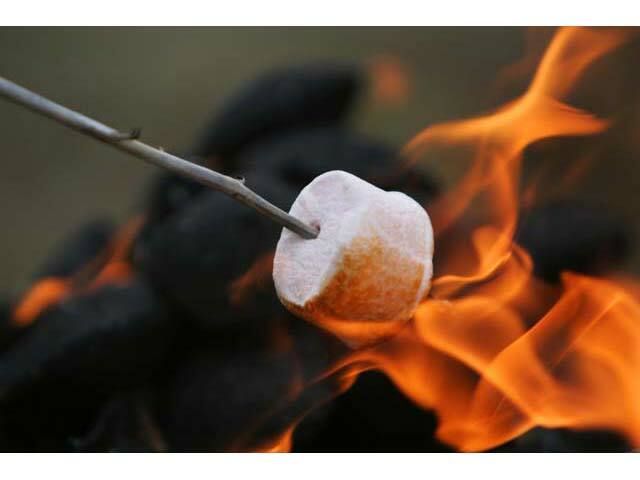 Your outside parties will be enhanced with marshmallow toasting, hot dog roasting, cocktails, warm cider and s’mores galore! The benefits of capitalizing on the fire element’s appeal are many. 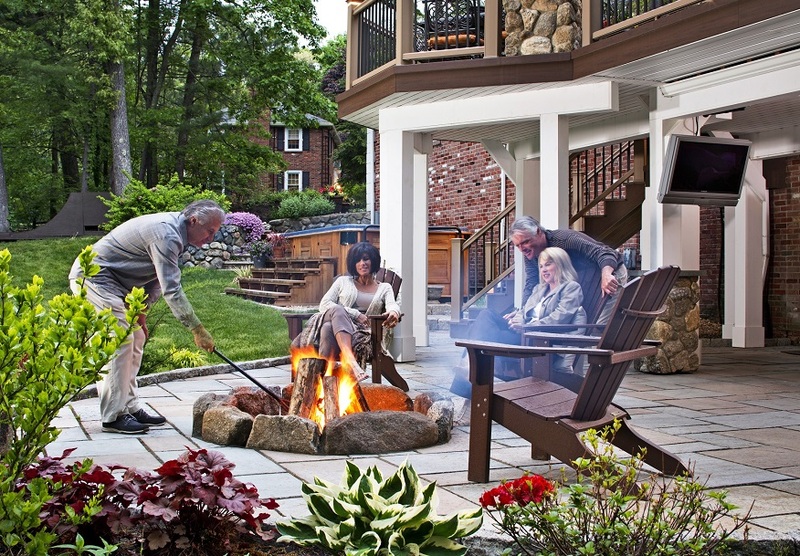 An outdoor fire feature with year-round functionality extends South Carolina’s outdoor season, as well as your home’s physical capacity for accommodating social gatherings. When the autumn nights begin to settle in, even though it may be a little chilly, a fire element can warm you right up and give you an excuse to be outside. Whether it’s down time with the family, intimate get-togethers with friends, or a full-blown party, having a fireplace or fire pit adds another dimension to entertaining. Inevitably, it becomes the focal point, and as most who have spent time staring into a blaze will attest, it encourages friendly conversation and warm feelings. Even while relaxing at home in your hot tub or sauna, a fire feature offers a healthy means of de-stressing. Entertainment – nothing says gather a group of friends and family together like a fire pit or fireplace, as it’s a great way to extend your party space to the outdoors. Cooking – although, not as precise as a grill or bar-b-que, fire pits and outdoor fireplaces can provide a flame over which you can create a multitude of culinary creations. 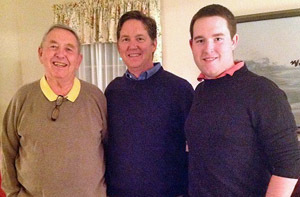 Heat – you can extend your entertaining seasons a bit by staying warm on those chilly evenings practically year round. Ambiance – even if you aren’t into throwing parties or entertaining, the ambiance a fire feature brings is worth the investment alone, especially if you are into star gazing with a loved one while sitting next to one of nature’s most captivating elements. Added home value – an attractive fire feature creates an enthralling focal point that can help make your home stand apart from others. If we have fanned the flames of your desire to add a fire feature to your existing outdoor living space, or have sparked your interest in custom designing and building of a new outdoor living space with a fire feature, Archadeck of Central South Carolina is your builder of choice. We can help you custom design and build the outdoor living space of your dreams with a fire feature that will keep you cozy outdoors and optimize the use of your back yard for almost year-round enjoyment. We’re a professional contractor with the answers to all your questions about fire features or any other outdoor living structure. 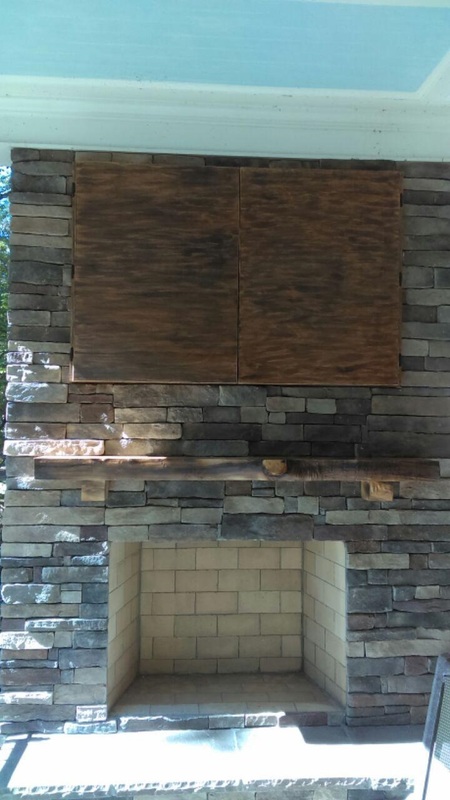 Contact Archadeck of Central South Carolina today to learn more about the placement, size, construction and cost of a fire feature and much more at (803) 603-2160 or via email at centralsc@archadeck.net. This entry was posted in Custom Outdoor Fire Pits, Custom Outdoor Living Designer & Builder, Lakeside outdoor structure designs, Outdoor fireplace and fire pits, Outdoor fun, Outdoor Living, Outdoor living space design and building and tagged Archadeck of Central SC, Archadeck of Central South Carolina, Columbia SC outdoor fireplaces and fire pits, Creating the perfect Columbia backyard, Florence SC outdoor fire pits and fireplaces, Outdoor fire feature designs by Archadeck of Central SC, Outdoor fire features in your Central SC backyard on August 28, 2015 by archadeckofcentralsc. As spring is knocking at the door — wouldn’t it be great to get MORE out of your outdoor living space and backyard this season? 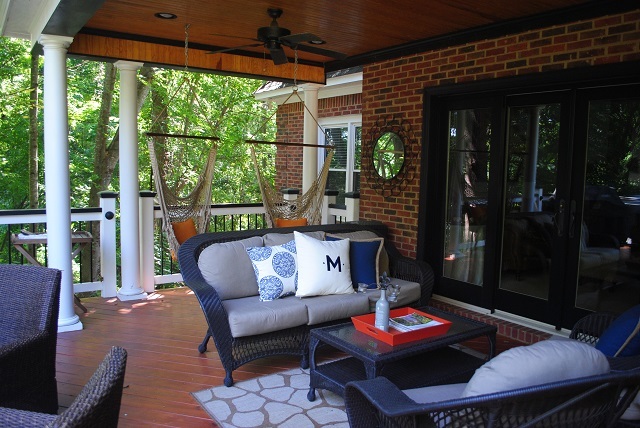 Screened porch, deck and patio combination. Just as spring’s arrival will completely change the look and feel of your environment, outdoor living spaces often change the entire way you regard your residence. Much like the inside of your home, your outdoor space should have designated areas for the many different things you and your family may do, from hobbies and relaxing to entertaining and recreation. This is best achieved with an outdoor living environment consisting of two or more structures designed together and working as one LARGE structure. Patio and deck combinations that comingle dining and lounging spaces for groups of any size – as your dinner party is winding down, guests can easily descend to the stone patio filled with seating arrangements of comfortable sofas and chairs for coffee and conversation. Deck with patio and fireplace in Central SC. A spacious screened porch connected to a multi-level deck with pergola for entertaining, and leisure spaces with a choice of an enclosed area, a partially-shaded spot or one with full-sun exposure – this blending of structures with hardscapes provides the best mix of areas in which every member of the family can get maximum enjoyment of your backyard pool…and these combination projects can easily be built in phases. 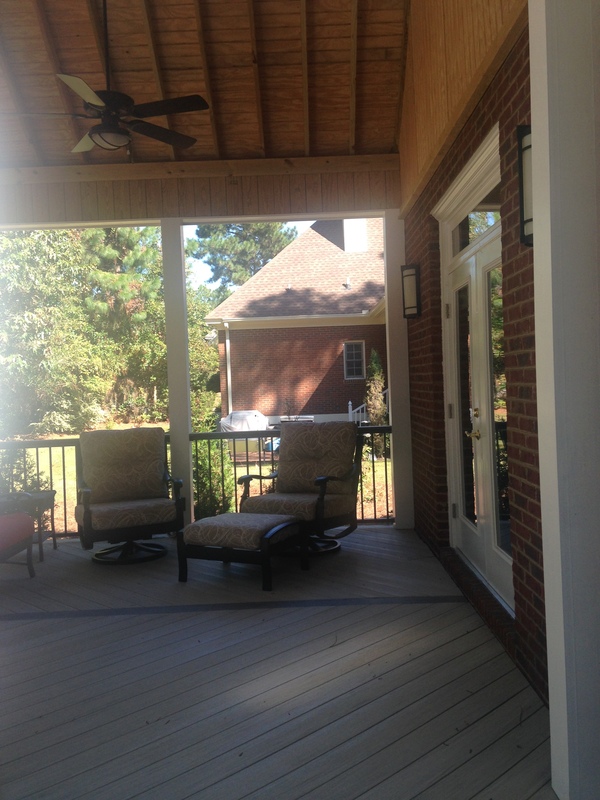 Deck and screened porch combination in Columbia, SC. A covered porch/exterior room and hardscape pairing that includes an outdoor kitchen flanked by integrated seating around a fire pit is just right for outdoor enjoyment in every season – family events are more enjoyable when everyone spends time together cooking, eating, talking and still keeping an eye on the little ones as they run around in the backyard… and finishing off the evening with roasted marshmallows around the fire pit. 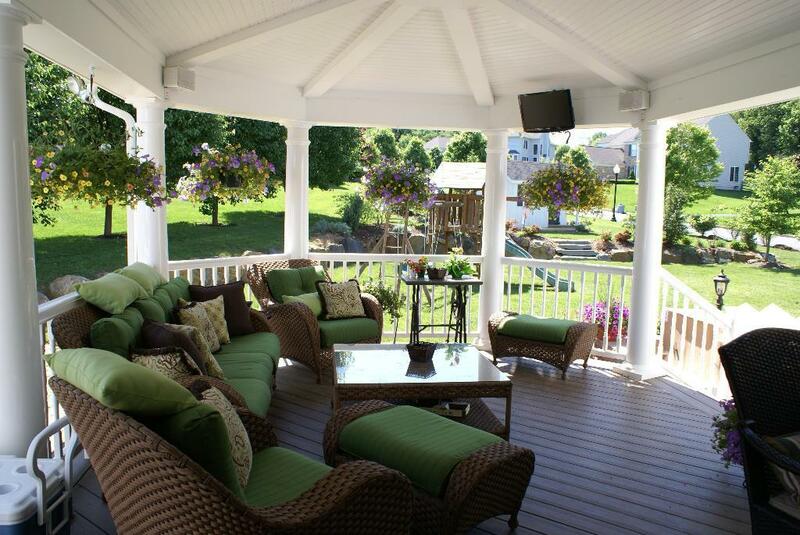 Archadeck covered porch perfect for luxury outdoor living. These are a just a few of the combined spaces we can provide for you to support the outdoor lifestyle and multitude of activities you and your family enjoy. After all, what’s an outdoor living room complete with comfortable seating and a big flat screen TV without the Master Chef easy access to the grilling/outdoor kitchen area on the adjoining flagstone patio? 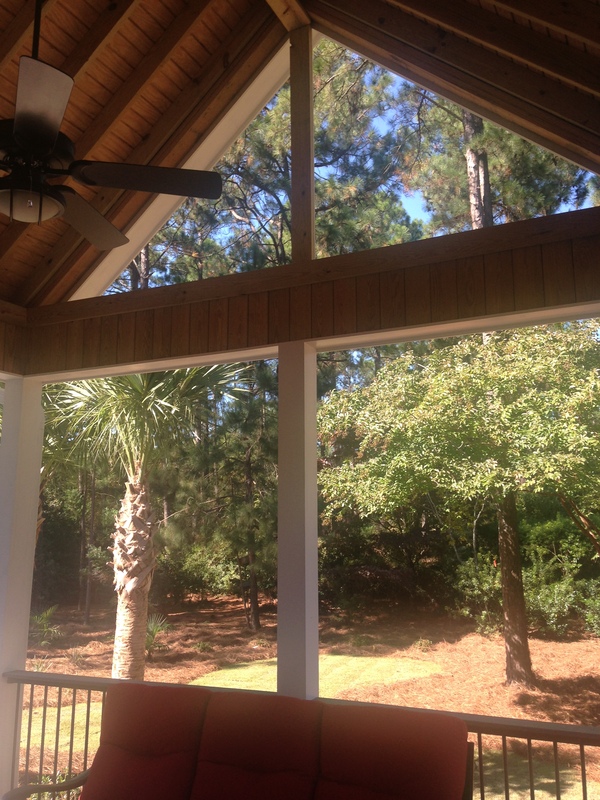 What better way for everyone to enjoy the view and benefits of your lakeside property than with a screened porch and deck combination, enabling sun-sensitive family members to be included in just as much outdoor fun as those who love to soak up the sun. The options for versatile, flexible spaces are limited only by your imagination, as each Archadeck of Central South Carolina structure is a one-of-a-kind design built to suit your needs for outdoor living and entertaining. If you’re ready for a true extension of your home with function and flow to help you get MORE out of your outdoor living space and backyard this season, contact Archadeck of Central South Carolina today! 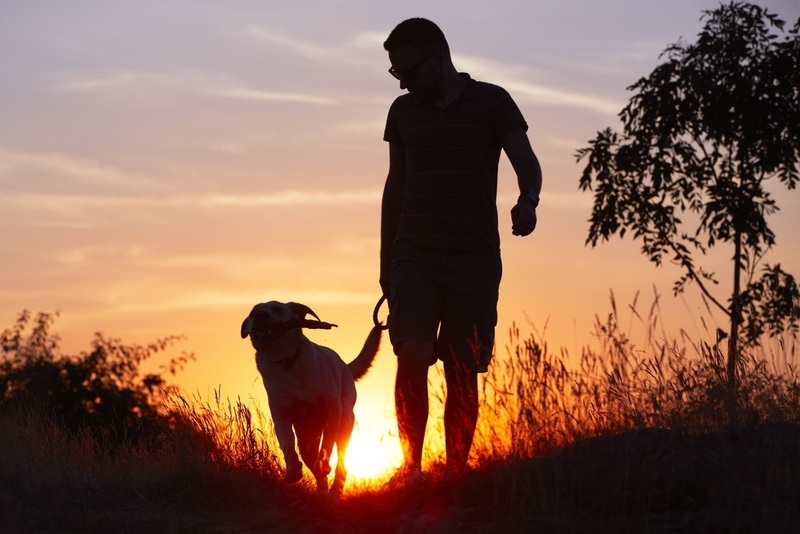 We’ll help you make the most out of your outdoors too! Call us at (803)603–2160 schedule a free consultation at or email us at centralsc@archadeck.net. This entry was posted in Custom Outdoor Living Designer & Builder, Decks, Outdoor fireplace and fire pits, Outdoor Living, Outdoor living combination structures, Outdoor living space design and building, Outdoor Rooms, Patio, Porches and tagged Archadeck of Central SC, Archadeck of Central South Carolina, Central SC combination outdoor living spaces, Central SC deck and patio combinations, Central SC deck and porch outdoor living combinations, Central SC outdoor living combination builder, Central SC porch and deck combinations, Columbia SC deck and patio combinations, Columbia SC deck and porch combinations, Columbia SC outdoor fireplaces and fire pits, Columbia SC outdoor structure design and building on March 17, 2015 by archadeckofcentralsc. 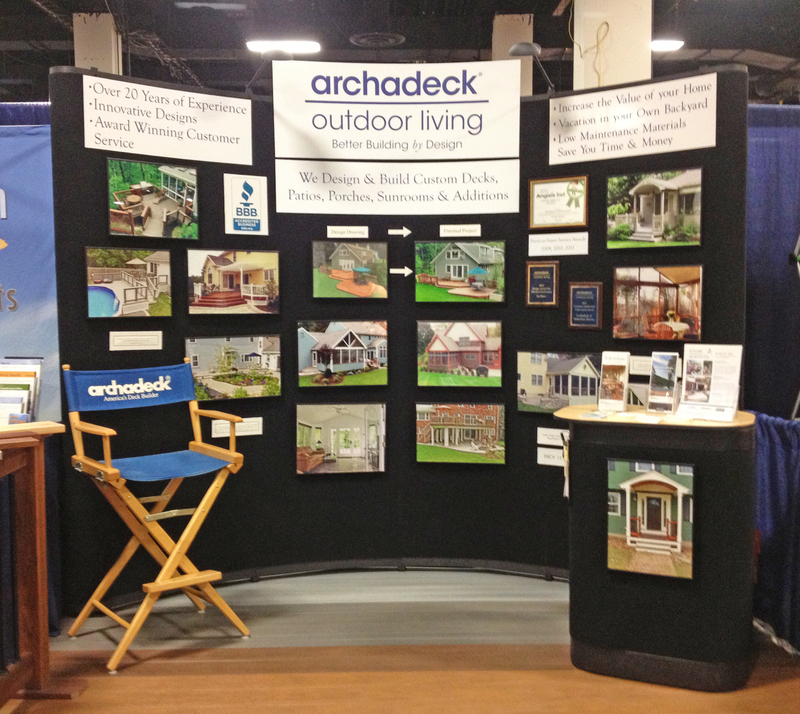 Come see us at the Columbia Home Building and Remodeling Expo this weekend! Archadeck of Central SC and Renew Crew of Central SC will be at the Columbia Home Building and Remodeling Expo being held at the Columbia Metropolitan Convention Center this weekend! If you’re thinking of starting off the New Year by adding a deck, porch, patio or outdoor room or upgrading an outdoor living space, this is the home show you can’t afford to miss. Our talented team will be on hand in booth #607 and #702 to answer your questions, or help you establish the perfect design for your needs and budget. If you already have an existing structure, and are interested in renewing its livability, longevity and beauty, Renew Crew of Central SC can make it happen! Welcome to this updated backyard paradise in Irmo, SC. Custom pergola addition by Archadeck and existing deck cleaned and stained by Renew Crew. No matter what you have in mind for home improvements, you’ll find the right products and the best companies. Talk to the experts and find just the right designs at just the right price for your home improvement budget. The outdoor living season is sooner than you may think! NOW is the time to start planning for warmer days and tranquil evenings! Ticket prices are $4 for adults and children get in free! This entry was posted in Custom Outdoor Living Designer & Builder, Home and trade shows, Home remodeling and trade shows, Outdoor Living, Outdoor living space design and building and tagged Archadeck of Central SC, Archadeck of Central SC home and trade show participation, Archadeck of Central South Carolina, Central SC combination outdoor living spaces, Central SC deck builder, Central SC patio builder, Central SC porch builder, Columbia Home Building and Remodeling Expo, Columbia Metropolitan Convention Center, Columbia SC deck and patio combinations, Columbia SC Deck Builder, Columbia SC outdoor fireplaces and fire pits, Columbia SC outdoor living, Columbia SC outdoor structure design and building, Making your Columbia SC dream backyard a reality, Renew Crew of Central SC on January 6, 2015 by archadeckofcentralsc.